I absolutely love OnePlus' smartphones. It's redundant to ask why. You know, for obvious reasons. OnePlus has been winning hearts of their customers since day 1. OnePlus may not give you the best of everything. For example, the camera might not be as good as the Pixel 2 or the iPhone X or the Samsung Galaxy S9 Plus. But come on man, those are a thousand dollar smartphone. OnePlus was introduced by iHub Pvt. Ltd. and since then the store has been selling OnePlus phones in Nepal. Oliz Store is another reseller of OnePlus smartphones and accessories in Nepal. The popularity of OnePlus has increased since the introduction. Every person that thinks of buying a good smartphone takes a look at OnePlus smartphones nowadays. 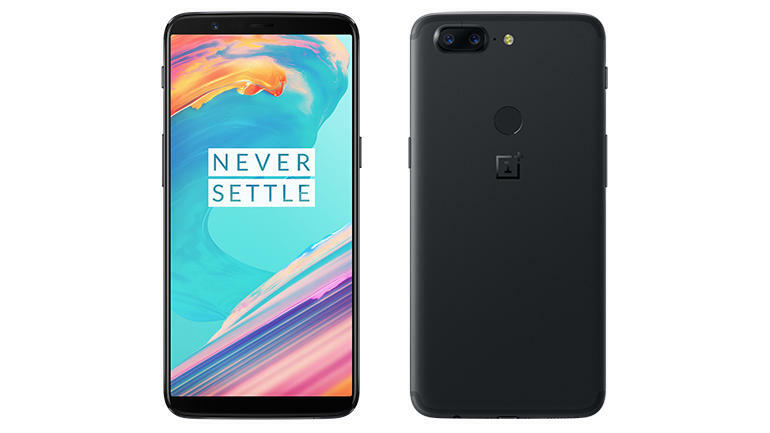 OnePlus smartphones have a great reputation in Nepal because of how good of a specification you get for a price that is considerably lower than that of the competing flagships from other companies like Samsung and Apple. As a result, OnePlus has become one of the most respected and trusted companies. So, we have compiled a list of OnePlus mobiles price in Nepal with the intent of giving you a better insight into them. The following OnePlus mobiles price in Nepal list contains all the OnePlus phones available in Nepal. To give you better information about OnePlus, we also have included a list of OnePlus service centers in Nepal. The back panel of the OnePlus 6T is covered in lightweight carbon fiber and coated in a glossy deep black finish, with papaya orange highlight at the sides that shimmer when you look at the sides at an angle. The papaya orange appears on McLaren’s most recent F1 cars and was widely used by the team in the early 1970s. 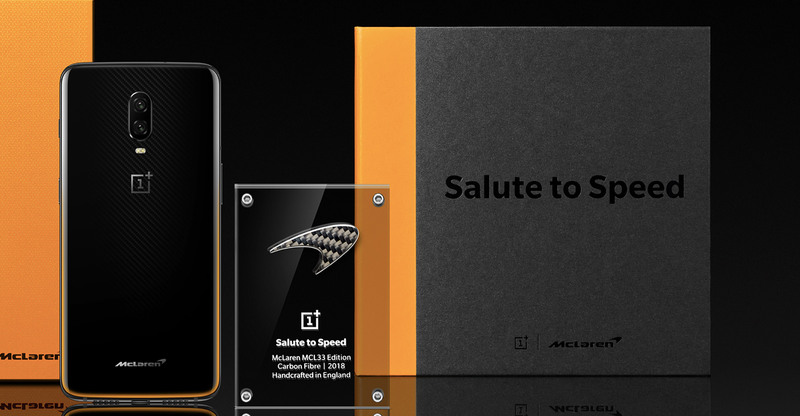 The OnePlus 6T McLaren Edition has 10GB RAM instead of the 6GB/8GB available in the regular old OnePlus 6T. The next big hardware upgrade is called the warp charge. OnePlus already had one of the fastest charging time in the smartphone land, now their phone charges even faster. The charger on the McLaren edition can supply 30W of power to the phone without overheating the device. While this sounds cool and all, Dave2D did a video comparing the charging speeds of the original 6T and the McLaren edition 6T where he found that the warp charge is only faster for short bursts of charging. So, if you are charging from 0 to 100% it doesn’t help that much. 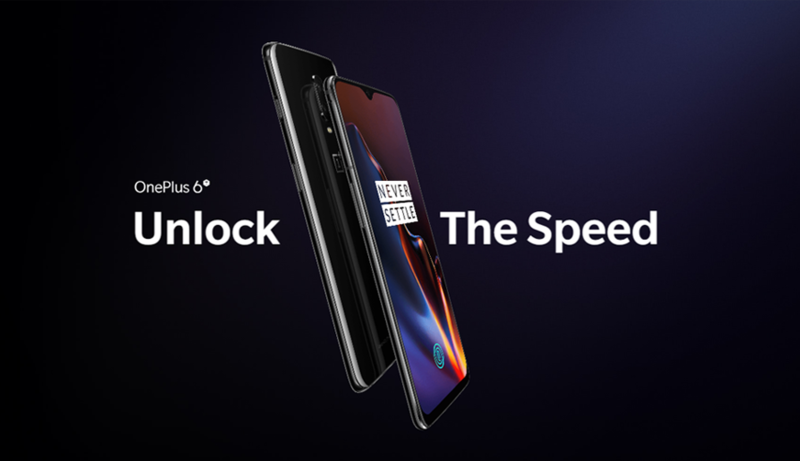 The new design, the larger RAM, and the warp charge are the only difference between a regular old OnePlus 6T and the Mclaren Edition. So, we don’t think its worth your money to invest in this product. On the inside, the OnePlus 6 and 6T are nearly identical. They use the same processor and RAM configuration. So, there is not a much speed bump from 6 to 6T. However, one thing has been improved and that’s the battery. It is now 3700mAh vs 3300 on the 6. This means longer battery life but buyers should note that OnePlus 6 itself already had good full-day battery life. The base storage has now increased to 128GB. So, there is no 64GB version now. This means more storage for your photos, videos, and apps. 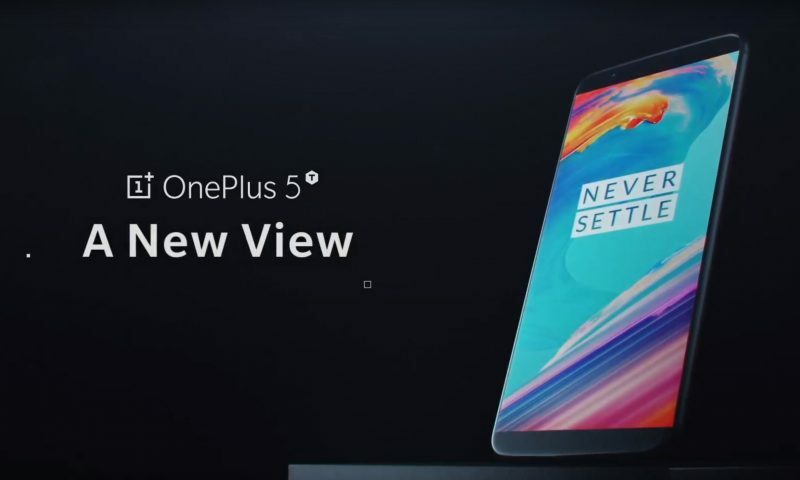 The rear and front cameras are the same that were used in the OnePlus 6. So, there are no major improvements in that department. What else has changed then? There is no headphone jack. OnePlus has finally done away with the old, unloved headphone jack. But that’s about it. The phone is nothing radical. And the OnePlus 6 owners need not check their bank accounts to collect money for an upgrade. For some people, the 6 might be a better phone because of the headphone jack and now reduced price. OnePlus 6 is straight up a great smartphone. Who knows, it might turn out to be the best seller for 2018. Embracing the notch was one of many 2018-y things OnePlus has done. The infamous notch has finally made its way to OnePlus 6 and this is good and bad depending on the person and situation. I am not a great fan of the “notch” but there are people who admire it. Even here at TechLekh we often have debates about whether the notch is the right way or not. The other thing that OnePlus has done this year is the glass back. The glass back on this device looks absolutely stunning. You get three colors– midnight black, mirror black and silk white, silk white is a limited edition. Under the hood, it’s rocking a Snapdragon 845. The phone is powered by Octa-core (4×2.8 GHz Kryo 385 Gold & 4×1.7 GHz Kryo 385 Silver) processor and an Adreno 630. This is a better SoC then its previous versions but this one, paired with an “almost” stock Android OS will give you stunning fast performance. We also can expect better performance than that of the giants like Samsung Galaxy S9 and the P20 Pro. Waste of a THOUSAND DOLLAR price tag, right? The one thing OnePlus failed to do this year was the wireless charging. This might be a deal breaker for some people, but I don’t care about it, I mean there’s already the dash charging which is freaking amazing. You are getting this phone for a sub 75 thousand price. If you compare this to the flagship phones such as the Samsung Galaxy S9 and the Apple iPhone X, this phone gives you great value for the price. Actually, way more. I know, the camera might not be the best one, but it certainly is up there. So, I would not think twice while buying this device. It carries a 5.5 inches Optic AMOLED screen with a resolution of 1920*1080. I know this is not the best thing you can get considering all the 1440p displays in the Galaxy S9 and Pixel phones, but its an AMOLED screen and it doesn’t look too bad while giving you considerably more battery life compared to other phones. As always OnePlus goes all out when it comes to the RAM as it has 6GB of RAM along with 64GB of internal storage. This should give you plenty of storage and well more than enough headroom when it comes to multitasking. The Android version on this device out of the box is Android Nougat 7.1.1. But the OnePlus is among those phones where you will be the first one to get an update. And the best part is the OxygenOS, which is a skin from OnePlus with very subtle tweaks. This makes using this device as fluid as the pixel devices. OnePlus 5 also features a dual camera setup, a standard 16MP lens, and a 20MP telephoto lens. This is where OnePlus lags behind a bit. “A bit”. It consists of a fingerprint sensor on the home button & is powered by 3300mAh battery. The battery is where this device shines. Not only it gives you a great battery life, the Dash Charging is so friggin’ fast that it is going to blow your mind. OnePlus 5T is the glorified “T” version of the older one. A slightly bigger and better version. Well, not exactly bigger. But bigger in terms of screen size. Yes, this too implemented the “signature trend” of shrunk bezels and 18:9 aspect ratio. Well, until the infamous notch made its rather fortunate or unfortunate entry (depending on the preference of people). This uses the Qualcomm Snapdragon 835 SoC featuring Octa-core (4×2.45 GHz Kryo & 4×1.9 GHz Kryo) processor and Adreno 540 GPU, same as that of the OnePlus 5, which to this date is a great chip. We have gotten to a point where the increment in the performance is very very subtle in the real world usage. If given to a normal person, one cannot really tell the difference between a Snapdragon 835 and Snapdragon 845. My point is if you don’t like the new OnePlus 6 and want to go for the OnePlus 5T, there is not going to be mch of a performance difference. So, you can go for it. It carries a 6.01 inches Optic AMOLED screen with a resolution of 1080*2160 which again is not bad as it has its own upsides, like the better battery life and better performance. As mentioned earlier, OnePlus finally moves to 18:9 aspect ratio with this device, which is something I like and most other people do too. As always OnePlus doesn’t hold back when it comes to the RAM as it has 6GB/8GB of RAM along with 64GB/128GB of internal storage. OnePlus 5T also features a dual camera setup, a standard 16MP lens, and another 20MP lens. The front camera is a 16MP sensor that helps for face unlock too. This camera is basically the same except the aperture of a secondary rear camera is now used to make your low light photos look good unlike the “telephoto: lens on the OnePlus 5. The fingerprint sensor has moved to the back. It is currently running Android Nougat with Oxygen OS 4.7 but is expected to get Android Oreo 8.0 with Oxygen OS 5.0 soon, and more in the future. The device is powered by a 3300 mAh battery along with dash charging, which again, as mentioned earlier, is crazy fast. 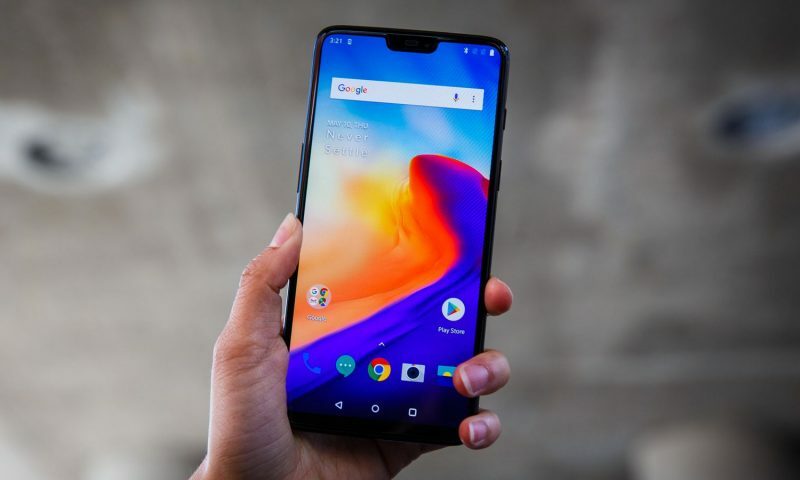 Where to OnePlus Mobiles in Nepal Buy? iHub is the official dealer of OnePlus smartphones in Nepal but you can buy it elsewhere as well. You can click here to view all the retailers for OnePlus mobiles in Nepal. If you already own a OnePlus phone and are searching for a service center, then following are some of the OnePlus service centers in Nepal. I absolutely love OnePlus’ smartphones. It’s redundant to ask why. You know, for obvious reasons. OnePlus has been winning hearts of their customers since day 1. OnePlus may not give you the best of everything. For example, the camera might not be as good as the Pixel 2 or the iPhone X or the Samsung Galaxy S9 Plus. But come on man, those are a thousand dollar smartphone. With the money for buying a high-end flagship, you could almost buy two of OnePlus’s latest phone. And mind you, those “two” phones are by no means inferior. If that is not crazy, I don’t know what is. OnePlus primarily does this by cutting the cost on unnecessary gimmicks, bells, and whistles. They give you what you need, not what you will find to be “interesting” after it has been implemented. Me personally, I like the OnePlus 5T because of the price it comes in at. This is going to be even less not that OnePlus 6 has hit the market. On top of that, I am not a great fan of the “top-notch” design. And well, you know the performance difference is very marginal. So, tell us in the comments down below about which phone do you think is the best one for you considering the price.